We recently reported that MGM is working on a Child's Play remake with Polaroid director Lars Klevberg at the helm. Universal has been keeping the franchise alive on home video for some time now and it looks like the rights have more or less been split up, with MGM controlling the movie side of things. 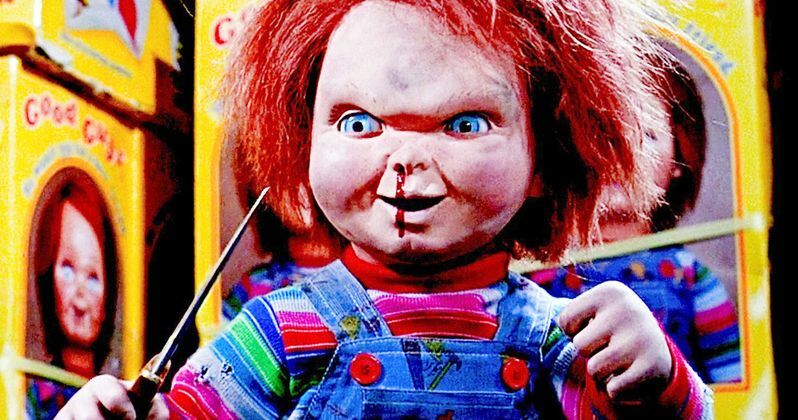 Now, some new information has surfaced and Brad Dourif, who has voiced Chucky in all seven movies in the franchise up to this point, will not be voicing the killer doll in the upcoming remake. He will, however, lend his voice to the TV series that creator Don Mancini is working on, as well as future sequels that are still being planned by Universal. Don Mancini, who wrote the original Child's Play and directed the most recent movie, Cult of Chucky, as well as franchise producer David Kirschner have responded to this remake taking place at MGM. According to a new report, MGM offered them both executive producer credits on the Child's Play remake. They declined and are instead planning on moving forward with the TV series and more movies at Universal, which will keep the current canon alive. Here's what they had to say about it. "We're still working on the series and also plan to continue the film franchise with Universal. We intend to stay true to the universe we've created." The report also confirmed that Brad Dourif is aligned with Mancini and Kirschner on this one. This is sort of a good news, bad news situation. On the one hand, it's good to hear that the Child's Play franchise as it exists will continue at Universal. On the other hand, MGM is still fast-tracking this remake that will pretty much have no actual connections to the things that made the franchise great it in the first place. This new take is said to focus on a technologically advanced killer doll that hunts down a group of children. This also makes for something of a confusing situation for those who don't keep up with the nitty gritty behind the scenes drama. There are going to be two different versions of the Child's Play universe going at the same time. One on the small screen with the TV series and future direct-to-video sequels and the new canon being established by this reboot. If it does well, MGM will certainly churn out a sequel. That's just what studios do with horror properties. One also has to wonder if this won't result in some sort of battle for the franchise rights down the road. For now, horror lovers can take solace in the fact that Brad Dourif is still going to be Chucky, even if there is some fancy new competition coming his way. The Child's Play remake and the TV series are both without release dates currently, but the new movie is on the fast track and is gearing up for production this September, meaning we should see it next year. This news comes to us courtesy of Bloody Disgusting.